This hearty American pale ale contains a rich blend of spices that warms the soul on a cold winter’s night. Chill the mug, stoke the fire, and savor this quality seasonal brew. Available only during the Winter season, thusly, our featured beer. The beer pours a hazy light amber with orange hues and a modest white head. 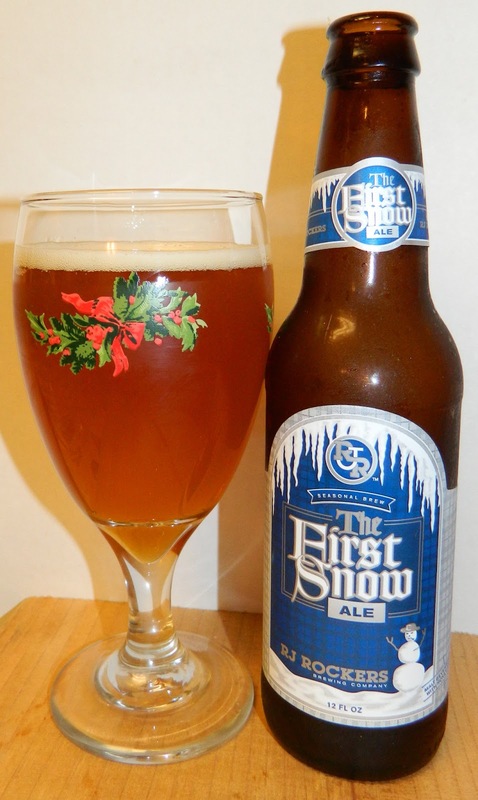 The nose is nice with caramel almost toasted malt aromas with notes of cinnamon spice and floral hops. What a nice first sip; smooth, easy drinking with great flavors spicy notes and a floral hop finish. The experience starts out with a touch of malt sweetness up front followed by an almost refreshing and cleansing mouthfeel as the ale washes over the tongue in the middle of the sip. The spicy notes hit you just before you get to the top of the swallow in the back-end. The back-end is very easy drinking with and almost effortless swallow. The finish is great with nice pale malt flavors with a touch of caramel and floral finishing hops with just the right amount of spice. The spicy notes are of a touch of cinnamon. The final aftertaste is a slightly lingering spicy note with floral hops. I am really enjoying this beer. It’s a shame that I only have one. This is something that I could enjoy drinking several of. As the beer warms it is getting smoother. The spices also seem a little stronger now but are still not overpowering. 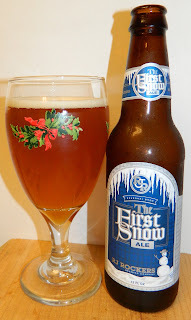 B+ | RJ Rockers First Winter Snow is a very good Winter Warmer with light pale malt flavors with a touch of caramel, smooth and easy drinking with a slight floral hop bite and spicy finish.